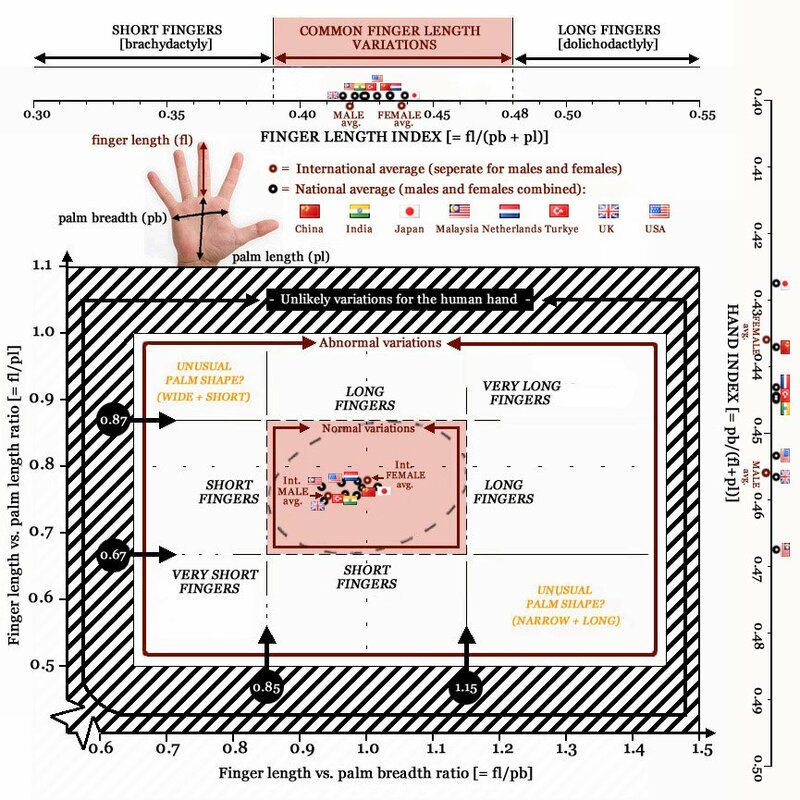 Finger length in International Populations! FINGER LENGTH DIFFERENCES ACROSS NATIONS ARE SMALLER THAN AMONG MALES & FEMALES! Body proportions are known to vary among the populations around the world. For example, the physical constitution in Asians is on average generally thinner and shorter than in Westerners. This tendency is also noticable for the hands: East Asians tend to have narrower hands (= lower hand index) and longer fingers (= high finger length index). But how large are those variations really? Regarding the continental differences, in general one can say that short fingers (relative to other hand dimensions) are more common in Central Africa (especially in Nigeria) + Central America (e.g. Colombia) - maybe it's stricking to add that culture in those countries usually have a high level of 'traditional values' (according WordValues.org). Another tendency is that long fingers (relative to other hand dimensions) are more common in East Asian countries (especially in Japan) - interestingly, Japan is known for quite a while as the no.1 country with a high level of 'secular and rational values' (according WordValues.org). The chart below presents an impression of average (male + female) finger length variation - based on biometric data - between 8 countries, including: China, India, Japan, Malaysia, The Netherlands, UK & US. NOTICE: A larger version of the chart is presented at the bottom of this page. Finger length in general populations around the world! Hand index correlates with genetic variation & genetic distance! 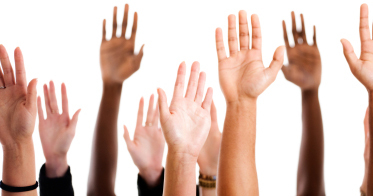 Some palm readers around the world have noticed how finger length and hand shape tends to vary among nations. "It's fascinating to see how, outside of the homogenous melting pots of the major cities, countries tend to display a distinct dominant hand shape among their native inhabitants. One can subsequently observe how this is reflected in the traditional culture. Earth hands [short fingers + square palms] about where life is simple and where people live close to nature; from Peru to Siberia, all the native village dwellers tend to bear Earth-shaped hands. In hard and unsophisticated environments, only the Earth person has de toughness and practicality to survive. In the Indian subcontinent, Thailand and much of Asia, the Water hand shape [long fingers + rectangular palms] is extremely common. Here spiritual and familial life predominates, temples abound and, of course, the river Ganges is itself worshiped by devout Hindus. The Fire hand shape [short fingers + rectangular palms] is common in Western Europe and the USA, with their competitive, progressive and capitalist cultures which exemplify all the dynamism and expediency of Fire. Air hands [long fingers + square palms] are most often found in the coll, liberal Nordic countries, and in the intellectual and nonconformist circles of any culture." Are Fincham's guidelines confirmed by the data inside the chart? It's not easy to answer this question: some aspects are confirmed by the chart, but in general the overal biometric differences appear to be (much) smaller than one might have expected from Fincham's guidelines. Also it's interesting to notice that the finger length differences across nations tend to be SMALLER than the finger length differences between males and females. 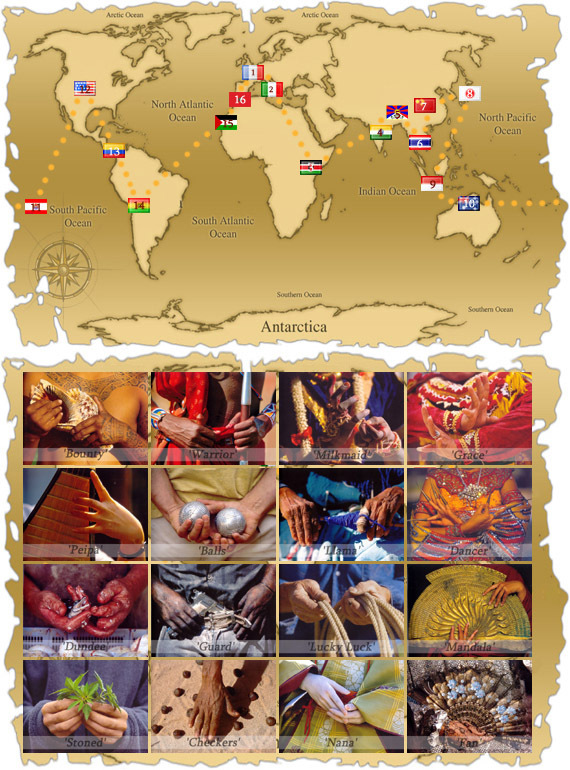 Finally, at the Modern Hand Reading forum one can find a bit more info about 'hands around the world'. China, India, Japan, Malaysia, Netherlands, Turkye, UK & US.